Martin Boyce is an artist whose sculptural works recall and reference the materials, textures and forms of the built urban environment. Using the iconography of both the everyday and the history of modern architecture and design, his sculptural installations form immersive environments and poetic landscapes. Martin Boyce was born in Hamilton, Scotland in 1967. He studied at Glasgow School of Art 1986-1990 (BFA) and 1995-1997 (MFA) and California Institute of the Arts 1996 (MFA exchange program). Boyce represented Scotland at the Venice Biennale 2009 with the exhibition ‘No Reflections’ and was the winner of the 2011 Turner Prize. 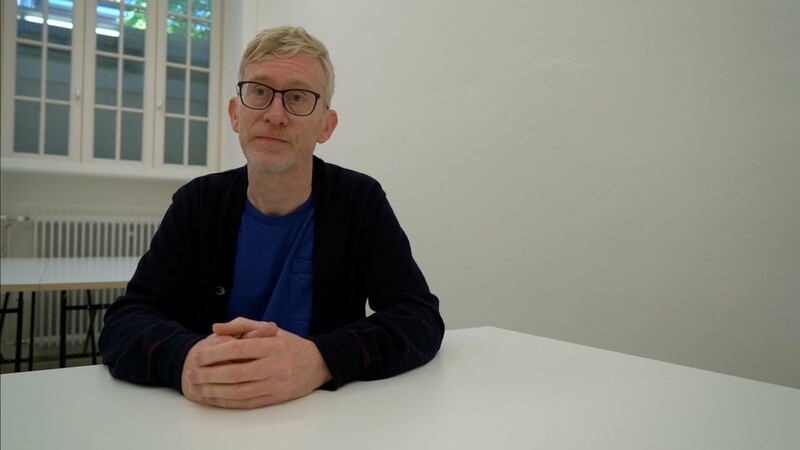 His solo exhibitions include ‘Hanging Gardens,’ A4 Museum in Chengdu, China (2018); ‘Light Years’, The Modern Institute, Glasgow (2017); ‘Sleeping Chimneys. Dead Stars,’ Tanya Bonakdar Gallery, New York (2017); ‘Spotlight - 'Do Words Have Voices'’, Tate Britain, London (2016); ‘Spook School’, CAPRI, Düsseldorf (2016); ‘Martin Boyce: When Now is Night’, RISD Museum, Providence (2015); ‘Inside rooms drift in and out of sleep / While on the roof / An alphabet of aerials / Search for a language’, Eva Presenhuber, Zurich (2015); Museum für Gegenwartskunst, Basel (2015); ‘Stellar Remnants’, Johnen Galerie, Berlin (2014); ‘No Reflections’, Venice Biennale, Venice (Scotland + Venice. Touring to DCA, Dundee) (2009); ‘This Place is Close and Unfolded’, Westfälischer Kunstverein, Munster (2008); ‘Out Of This Sun, Into This Shadow’, Ikon Gallery, Birmingham (2008); ‘We Are Shipwrecked and Landlocked’, RMIT University Alumni Courtyard, Melbourne (with Kaldor Art Projects) (2008); ‘We Burn, We Shiver’, Sculpture Center, New York (With Ugo Rondinone) (2008); ‘A Lost Cat and Alleyways, Back Gardens, Pools and Parkways’, Centre d'Art Contemporain, Geneva (2007); ‘Electric Trees and Telephone Booth Conversations’, FRAC des Pays de la Loire, Carquefou, France (2007); ‘Broken Fall’, Kabinett fur Aktuelle Kunst, Bremerhaven (2005); ‘Dark Reflections’, Adolf Luther Prize, Krefeld Museum, Krefeld (2004); ‘Our Love is Like the Earth, the Sun the Trees and the Birth’, Contemporary Art Gallery, Vancouver (2003); ’For 1959 Capital Avenue’, Museum für Moderne Kunst, Frankfurt (2002); ’Our Love is Like the Flowers, the Rain, the Sea and the Hours’, Tramway, Glasgow (2002); ‘When Now Is Night’, Fruitmarket Gallery, Edinburgh (Part of Visions for the Future) (1999). Boyce recently unveiled a major new commission ‘Remembered Skies’ at the Tate Britain (2017) as part of the Clore Galleries and currently lives and works in Glasgow.